This 2 story beauty is ready for new owners! This 5 bed + loft, 4 bath, 3 car garage home in gated Sterling Hill is located on a quiet cul-de-sac street with no rear neighbors! With over 3,000 sq ft of living space, it's perfect for a larger family or one looking to expand. Brand new carpeting! Lovely kitchen has wood cabinets, an island, and built in double ovens. Generous master suite has a bathroom with dual sinks, jetted tub, and walk-in shower. Radiant attic ceiling cover helps to reduce cooling costs! Freshly painted lanai and slab steps at back & garage door entries! Sterling Hill is a gorgeous community with amazing amenities, including 2 clubhouses; 2 community pools; fitness centers; playgrounds; volleyball, basketball, and tennis courts; and more. Located near schools, shopping, dining, and more. 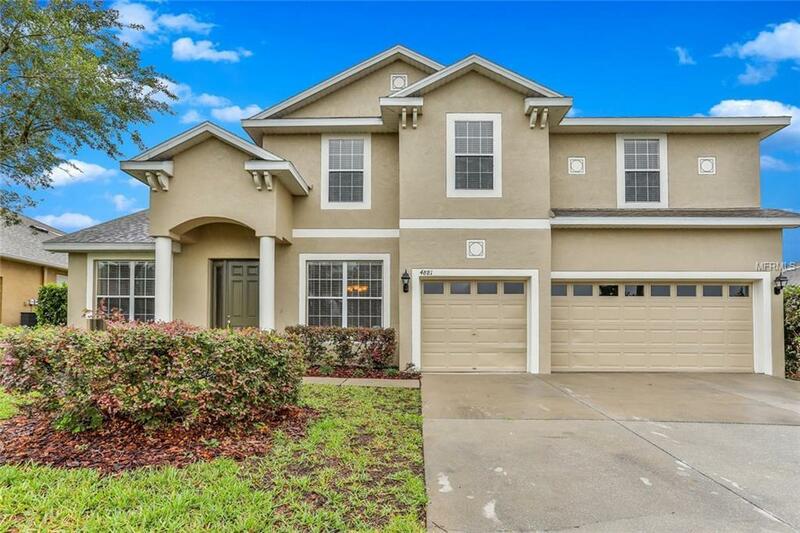 Close to the Suncoast Pkwy for easy access to Tampa. This isn't a home to miss!